Moving requires a lot of focus and energy. Sometimes, when our energy is compromised we face the possibilities of forgetting things. It is hard enough accepting that we need to move, however, we make the list of items while we're already overwhelmed. This contributes to forgetting things. Especially if you hire movers. You can pack everything and store it safely, but then you forget to check hideaway places like cupboards and tiny closets. If you are moving anytime soon, here are a few tips to help you stay organized and hopefully remember a few things you could easily forget. Random kitchen stuff: fridge magnets, food, the dishes in dishwasher, and kitchen cabinet items. Check up high also. Hidden valuables. Check all secret hiding spots. Borrowed items, including books. Clothes at the dry cleaners. Outdoor equipment, be sure to check the garage and shed for any tools, hoses or stored items. Attic items or crawl space items can be forgotten. Check bathroom for plungers and other toiletries. Look for clothes hung behind the doors. Look for small wall hangings,lamps and other fixtures. Prescription medication and important files and documents. Make sure to leave the necessary things behind for the new owners, such as garage door opener, any keys or padlocks. You want to give the new owners access to everything in the home. Start inside and work your way out. Pack each room starting with the bedroom. Pack clothes, bedding and other possessions. Label each box stating its contents and which bedroom. You may also want to use this time as a chance to consolidate your things. 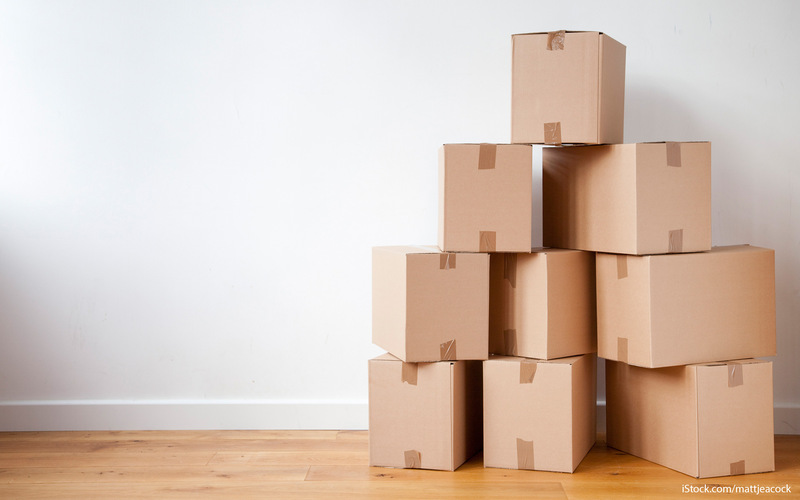 Make a pile or use one of your cardboard boxes as a donation box and add to it as you go along. Don't forget to mark fragile on any special boxes. Take your borrowed stuff with you. Transfer or cancel memberships to avoid empty fees. Make a list to keep up with them if you need to. Use sticky notes to remind yourself of pressing items. Place them in visible places to be sure you will see them and take action. Be prepared before your move date. You still have to clean your home. Make a checklist so you stay on top of things and set alarms on your phone. Another priority to remember is you. Try to stay hydrated and nourished so your brain and body can continue to function properly during this stressful time. Eat throughout the day to keep replacing the energy being zapped away by the move and stress. Try pre-ordering your food in case you forget and its too late to eat once you decide to take a break. Moving can be extremely tough on your own. If you can't get time off from work, it can be even more overwhelming keeping track of everything. Movers offer services including cleaning, labeling, packing, moving and others. They can handle the move from start to finish. Get an experienced mover that is sensitive to needs of the customer and wants to be as supportive as possible. Movers can help you think about the tiny details and make the transition more seamless.